For most people in the western world, having a Bible readily available is something that we often take for granted. 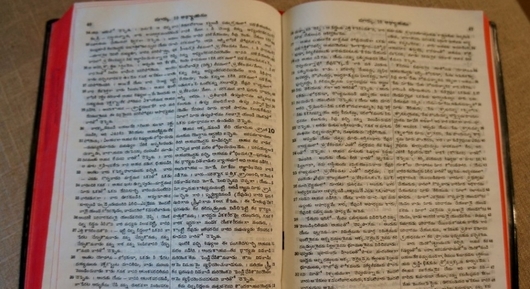 In countries like India, Bibles are far less available and therefore, harder to acquire. Donations help place Bibles in the hands of new converts and others who are seeking to learn of the one true and living God in that land of idols. Using an established network of evangelistic Christian churches, funds can be used to purchase Bibles and place them into hands of those seeking the truth. These churches have made teaching the gospel a priority, and as a result, the gospel is being taught to many. 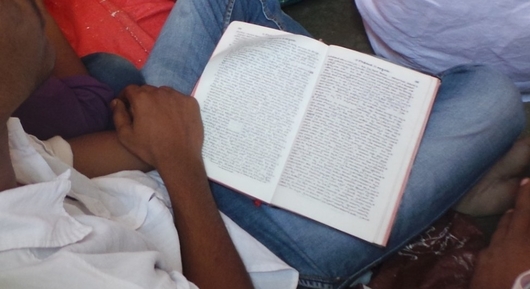 As more people come to Christ, the need for funds to purchase these Bibles has increased. For 2016, the total need to purchase Bibles is $30,000. 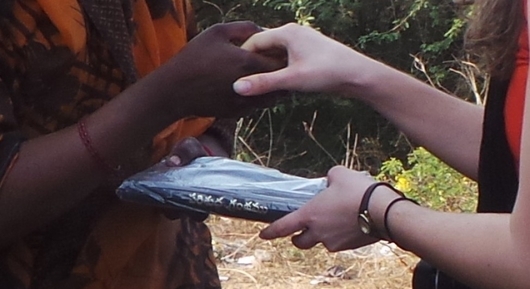 During a recent trip to India, we were afforded the opportunity to hand out Bibles to every Christian convert we met. At one location, a blind man responded to the gospel of Christ. 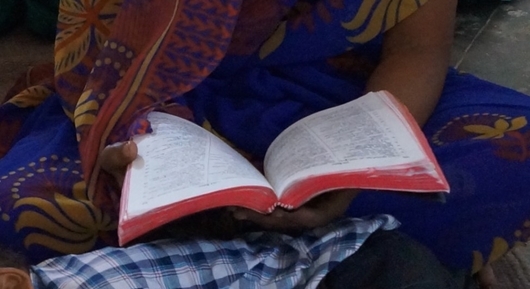 The Indian evangelist assumed he would not need a Bible because of his inability to see, but he quickly spoke up, stating that his daughter would be able to read to him. What a touching moment to witness: a man who was physically blinded but blessed with spiritual sight through the gospel of Jesus Christ. Now, as a babe in Christ, he desperately desired to know more about the love of Christ and how to obey Him. There are scores of similar stories of men and women in India learning of the love of Christ and making the decision to obey the gospel. These men and women are craving to know more of God, and that craving is fulfilled through the Word of God. 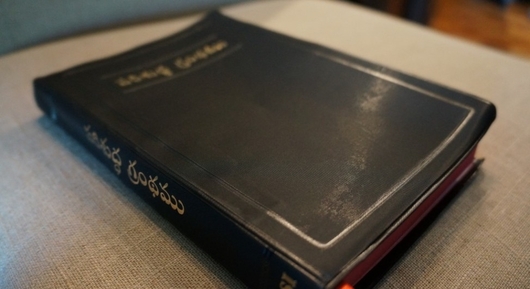 The cost to place a durable Telegu Bible in the hands of a Christian convert is just $6! Telegu is the native tongue of this area in India. We want all to know of this need and encourage those who can participate to help provide this priceless gift to an a Indian Christian who cannot acquire the words of life on their own. You can make a difference with a small gift. Please step forward today and give a donation to help give the light of Jesus Christ to those in spiritual darkness. Donation processes are flexible. If you have any questions, please contact us! 100% of your donation will be used in India to purchase Bibles! On social media? Check out our social media pages!